Sunday 21st – New Luddism :: Immaterial Labour Isn’t Working: Digital Culture, Digital Work, Digital Insurrection. Immaterial Labour Isn’t Working is a series of talks, workshops, texts and online contributions from key voices – artists, activists, technologists and writers – examining how digital technology is changing our political selves. i will be speaking on the first sunday evening of the #ILIW13 event at a talk on ‘New Luddism’. Who benefits from and is in charge of new technology? What could a life with less rather than more technological innovation be like? Taking ideas of traditional Luddism as a point for departure, Dougald Hine, Dave King (Luddites200) and Jay Springett will join Huw Lemmey to discuss the possibilities for engaging with new technologies and what our relationships to these technologies have become now that it is increasingly difficult to truly “switch off”. Dougald Hine is a writer and social thinker who has been responsible for creating a series of organisations, including the School of Everything, the civic ideas agency Spacemakers, and the Dark Mountain Project, a cultural forum for investigating the converging crises of climate change, resource scarcity and economic instability. Luddites200 is an ad hoc group of admirers of the Luddites, radical historians and activists on issues connected to technology. The group is developing a neo-Luddite politics of technology for the 21st century. Dave King is a former scientist who has been writing and campaigning on the politics of genetics and reproductive technologies since 1990. Jay Springett – Jay Springett is a Musician, Photographer, Philosopher, and Luddite. He is concerned primarily with humans, technology, infrastructure, and the unseen intersection points of how these things keep us alive. He specializes in small one-man projects that other people can get involved with. Jay is a member of EdgeRyders (a distributed thinktank incubated by the Council of Europe), co-designer of the visual language of SCIM (Simple Critical Infrastrcuture Maps) –resiliencemaps.org and is a contributer to the Hexayurt Project an open hardware disaster relief shelter. He also co-curates The Thought Menu: a nomadic talks series, and is passionate about DIY culture. Huw Lemmey is an artist and writer whose work focuses on digital political culture and post-internet art. He is involved in running the Limazulu project space and has co-ordinated the Immaterial Labour Isn’t Working project with Auto Italia. 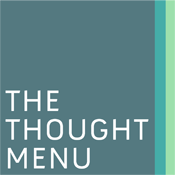 Yup, we are doing another thought menu! We have partnered with the great Makerhood.com for Thought Menu #5 and will be putting on an hour of classic thought menu at their event Making Uncovered. Making Uncovered is an exciting festival of making, art and craft. It’s free to attend, and everyone is welcome – drop in at any time. We have a great collection of speakers for the evening, and really hope you can make it down! Full details can be found at the Making Uncovered site here or you can sign up to the Thought Menu News Letter for details about the event and get info on future events.